Domestic violence must be tackled in all its forms, because not only do you have a victim, primarily women, but where children witness this violence then they too become victims. Sadly, when gardaí investigate incidents of domestic violence the victim may be too afraid to come forward to make a statement or may withdraw a statement due to other factors. Maybe it's time that our laws made domestic violence a stand-alone statutory offence carrying a prison term, fine or both, with the perpetrator having to undergo compulsory anger management as part of his or her rehabilitation. Evidence from gardaí and support services should suffice where the victim is unwilling or unable to make a statement as proof of the offence which has occurred. The victims, including children who witness it, should also be afforded counselling. This type of crime must be tackled head-on, with gardaí and other services given the necessary resources and training to help those who require it, and bring those who commit domestic violence to justice. IT IS interesting to note how many Brexiteer advocates accuse the EU of bullying Britain into accepting conditions that they deem unfavourable to Britain, despite the fact that Britain, or part of it, brought this on itself and now demands that the EU clears up the mess that it itself has created. I find the charge of bullying from the British side rather ironic since the biggest stumbling block seems to be the backstop for Northern Ireland, which actually voted to remain in the EU. Those advocates who make the charge of bullying would do well to recall that Britain was to the forefront when it came to bullying regarding the Irish question. At the end of the Anglo-Irish treaty negotiations in 1920, the then-UK prime minister David Lloyd George put it to the Irish delegation, accept this treaty to partition Ireland or face "an immediate and terrible war". Michael Collins was left with no other option as the gun was put to his head. In 1914, a British government caved in to the threat by pro-unionist officers in the British army that they would resign their commissions rather than enforce the democratic vote taken by the Westminster parliament which had granted home rule to Ireland. Today again we see history repeating itself whereby the Northern Ireland tail is wagging the British government. IVAN Yates says that "every state has complete and exclusive sovereignty over airspace above its territory" ('May's plan will pass as MPs won't vote for a catastrophe', Irish Independent, November 24). Does this mean that if the EU bans British airlines from flying to or over EU territory, the UK could retaliate by banning EU airlines from access to or over UK airspace? In any case, what has the departure from the EU got to do with the operation of the inter-government services agreements to which he refers? If the UK leaves without an agreement much of the blame will lie with the EU, whose hostile attitude and determination to make an example of the UK has turned me, and no doubt many others, from being a strong Remainer into an even stronger Brexiteer. I AM outraged that a publicly funded body, the IDA, would seek to claim that Ireland's housing crisis is about average across the world (it isn't) and that rents are "reasonable" in Dublin (they aren't), and that you can find a one-bed apartment for around €1,000 in Dublin (good luck with that). These claims are manifestly untrue, and both the IDA and the Government know they are untrue. Ireland has in excess of 100,000 people looking for their own apartment/flat/house, a figure that grows daily. Our situation is incomparable to any other OECD country, in that the housing shortage extends right across Ireland, beyond the major metropolises. Of course, it's not really a shortage, much like the famine was not a true famine. The housing crisis is the creation of the wilfully blind ideological intransigence of Fine Gael. If you wish to gain insight into how strained the housing market is, on Daft.ie today an apartment in Santry, Dublin 9, was advertised at 9am. By midday, it had attracted 8,609 views. In stark contrast, there are, in total, 1,475 properties for rent across the entire Dublin region. Furthermore, in relation to the €1,000-a-month claim, a cursory look at Daft.ie today will show you just 290 one-bedroom dwellings across the Dublin metropolitan area, only five of which are €1,000 a month or less. The IDA is a publicly funded body, and has an obligation to set out facts impartially. The clear disinformation from this body is not acceptable, and the CEO of the IDA should consider his position. Promulgating lies is one thing, being paid handsomely from the public purse to do so is simply not acceptable. And pretending our housing situation is "normal" is an utter disgrace, and a callous betrayal of the tens of thousands languishing in misery as a result of this mess created by Fine Gael. 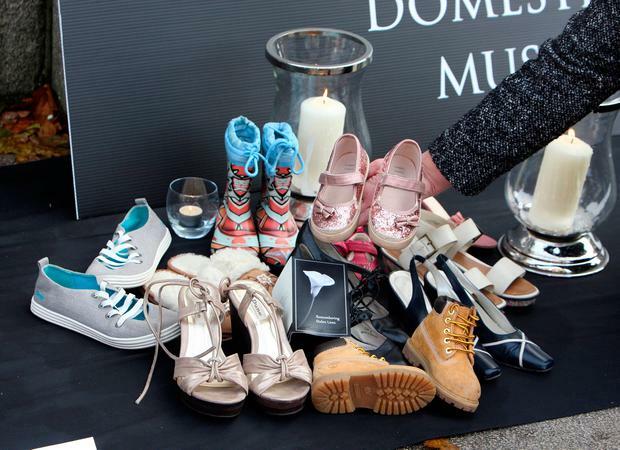 THE recent report by Women's Aid into femicide is extremely worrying. It showed nine out of 10 murdered women were killed by a man they knew, half of those were carried out by a current or former partner, while 61pc of those died in their own homes. Overall since 1996, 225 women died at the hands of a man and seven were killed this year so far. Looking at the CSO statistics, which are under review from the Garda Pulse system, from 2003 to 2017 an average 3-4,000 "assaults causing harm", including poisoning, were carried out each year, with "other assaults" increasing from more than 8,000 to 12,000 during the same period. Murders have averaged in the 30s and 40s, peaking in 2007 at 78 murders. Not all of these statistics relate to violence against women, but it is an indicator of how these types of offences, including murder, are all too prevalent in our society.